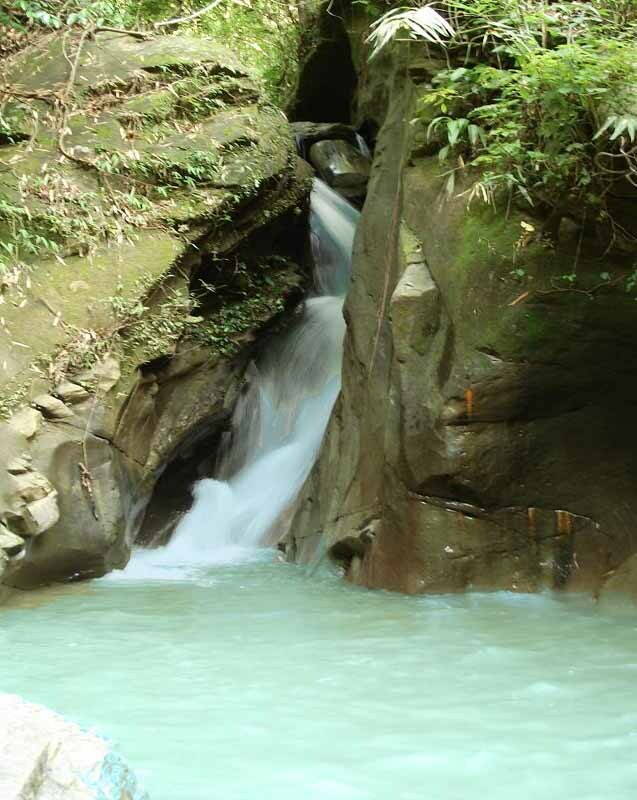 Patang Jhiri waterfall is located at Ruma upazilla in Bandarban. Patang Jhiri waterfall is also near to Bogalake. Patang Jhiri is situated before the way of Bogalake. When a traveler travels to Bogalake he should visit Patang Jhiri waterfall. In rainy season it is very difficult to reach at the top of the waterfall but in winter some undaunted traveler climb at the top of the Patang Jhiri waterfall. Patang Jhiri is not very big waterfall but its structure and surrounding view is really exceptional. If any travelers are interested to go Patang Jhiri then travelers should reach to Bandarban first. There are many bus services among the districts of Bangladesh to reach Bandarban. Here we have given some approximate fares information to the travelers to travel from Dhaka to Bandarban at How to Go page. To travel at Patang Jhiri a traveler should go to Ruma upazilla first. So the traveler has to make a trip from Bandarban to Ruma upazilla by “chander gari” (public jeep), regular bus service or a private vehicle. Chander gari or bus service will take approximately Tk.100-120. It may take 3-4 hours journey depending on transport service quality. On the way you have to register your name, contact address and other details in the respective security camp. It is apprised that you are not allowed to leave Ruma for Patang Jhiri /Boga Lake after 4pm.